Roberto Burle Marx (São Paulo, 1909 - Rio de Janeiro, 1994) is known as a landscape architect, but also as a painter, plantsman, gardener, and jewellery designer, tapestry designer, in short, a multitalented artist. He considered the garden to be one of the fine arts, as “the adaptation of the biome to civilisation's natural requirements." 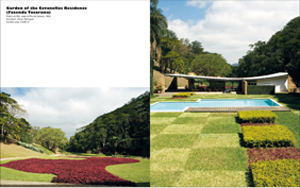 The philosophy of the prolific Brazilian author Burle Marx was the garden "as the adaptation of the biome to civilisation's natural requirements". If garden design is considered one of the fine arts, here we enter the realm of full sensory experience. His work with plants becomes highly pictorial. Everything is drawn, coloured and constructed. In this symbiosis between aesthetics and botany, Burle Marx is master of both species and spaces. 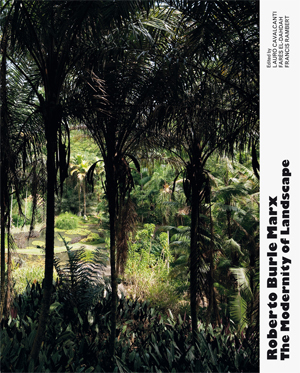 The philosophy of the prolific Brazilian author Burle Marx was the garden "as the adaptation of the biome to civilisation's natural requirements". If garden design is considered one of the fine arts, here we enter the realm of full sensory experience. His work with plants becomes highly pictorial. Everything is drawn, coloured and constructed. In this symbiosis between aesthetics and botany, Burle Marx is master of both species and spaces. 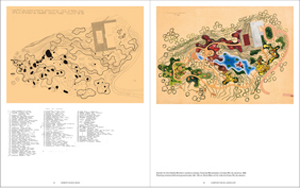 Burle Marx's work is the embodiment of the "nature-city", a concept taken from the garden cities of the late 19th century, which becomes compromised in the 21st century as it intersects with the compact city model. 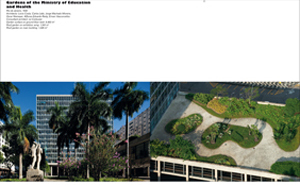 Concepts such as ecology, the garden as an art form and landscape design in the urban structure are some of the subjects dealt with in the book, which continue to be of major significance in contemporary landscape architecture. 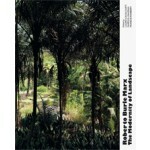 This new publication focuses on Burle Marx's scientific interest in the landscape and his relationship with the environment.